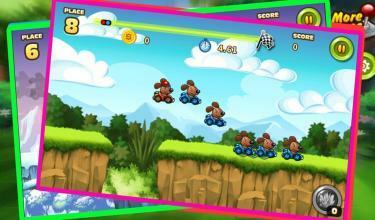 animal crush racing is the Super fast racing car game ! animal crush racing child cars Game is a fun and exciting racing game for young kids and toddlers. With a different Animal Cars to choose from, like the cat, dog, lion, penguin, elephant and much more, your child takes control of the animal car with simple controls so it’s easy for them to pick up and play. Conquer the street with high drift racing skill. The ultimate fast paced intense arcade car racing game set in streets with 10 unique cars specifically designed for a high racing rush is finally here! 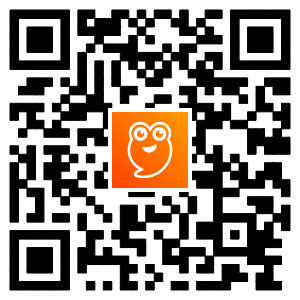 animal crush racing cars Game is designed for all kinf of poeple you can play it with your friend and your parents. the animal cars never flip ensuring your child always gets to the finish line! Race against other cars which slow down when they are ahead which lets your son or daughter catch up to them and win the race. 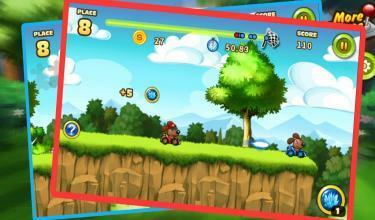 Endless race in the city streets, countryside roads and more style that you could choose in game. Barrel through packed streets, avoid crashes, take down traffic cars, pick up coins and perform dyamic, high-speed aerial stunts! 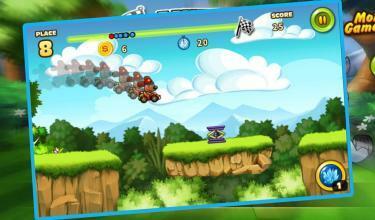 animal crush racing cars Game will challenge even the most skilled racing fans. Fastest cars are going to burn up the streets. 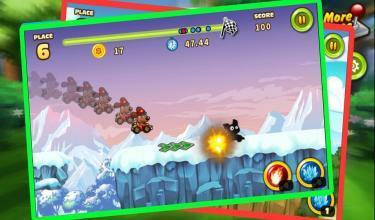 It is fully packed with super- fast cars and dynamic racing levels. Get ready to drive high performance cars and upgrade them to keep the best performance. Fireworks, Balloon pop and shoot ice and prize claw are at the end of each race so your child can collect more fruit, and unlock new cars if you want go to the next level. Car Racing Features: -Breathtaking visuals and amazing cars -More coins to unlock and upgrade -Customize your cars -More ways racing to choose -HD graphics -Realistic car racing feeling -Super fast speed Also included for even more hours of fun are four mini games which include Balloon Pop Memory Cards Puzzles Prize Claw Extreme car racing is here! our game Animal Cars Kids Racing Game helps your child understand the educational mechanics of using mobile and tablet devices its a brain games racing . 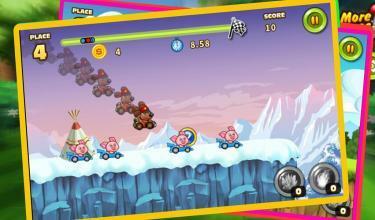 With puzzles, memory card and heaps of fun racing action.